Instant Price Quote Just give us some quick information and in minute we'll send an estimate! Your heating and air conditioning system is in use almost year round. As it circulates the air in your home it picks up dust, debris, dander and other particles over time. Those particles deposit in your duct system and are stired up as air moves through your system. These nasty particles then become airborn where they can aggravate allergies and collect on floors and furniture. Why Have My Air Ducts Cleaned? When we speak of air duct cleaning we are really referring to complete HVAC system cleaning. Complete system cleaning includes all the supply and return duct work and the furnace. Cleaning is performed for two reasons, your family's health and for system performance. No one wants to breathe air that's laden with dust, dust mite feces and other potential pathogens. To achieve the best performance from your system your airflow must be the best that it can be. 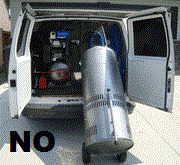 Unfortortunately it's too easy to buy a van, take out an ad and call yourself a duct cleaning company. There are many companies using inferior equipment or using bait and switch techniques to get in your home. We use only the highest quality truck-mounted cleaning equipment and the price we quote you is the price you pay! Experience. Experience. Experience! We have been installing and cleaning duct work and associated equipment for over 30 years. We also are a member of the National Air Duct Cleaners Association and have on staff Certified Ventilation Inspectors, Air Systems Cleaning Specialists, Certified Indoor Envrionmentalists and Ventilation System Mold Remediators. We also meet the state of Michigan requirements for holding a Mechanical Contractors license to permit us to access duct work. 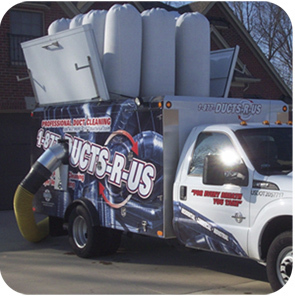 We utilize giant power vac trucks that are specifically built for air duct cleaning. Our thorough process ensures the best results. We have the licenses requred to access and clean your air ducts. Most do not! For a limited time take $25.00 off a complete duct cleaning.